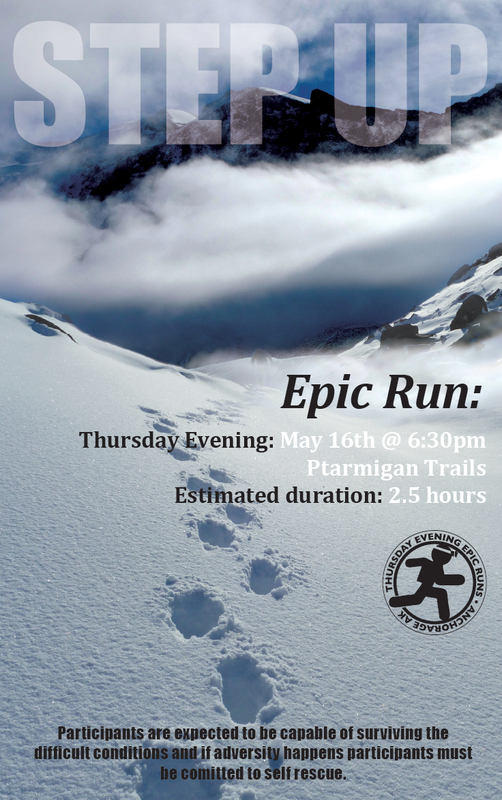 “Established December 7th 2000, Thursday Evening Epic Run events are non-competitive, adventurous training runs HELD YEAR ROUND on and off trails in southcentral Alaska. Generally these events are of 2 to 4 hours duration. Participants are expected to be capable of surviving the difficult conditions present, which often include, but are not limited to, rugged terrain, nearly impenetrable vegetation, severe weather, uncertain routes…. Participants and leaders MUST BE SELF SUFFICIENT. For this assignment I was to design a poster for the “latest” Epic Run. My concept is as brutal as the terrain…RISE TO THE CHALLENGE.